Even though it sounds obvious, sometimes is important to know how to prevent mold in storage units. There are many things that we put there. Surely many of them are important for us. 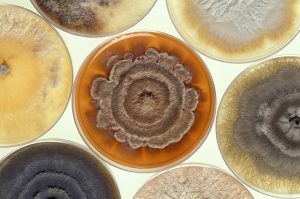 Although it is a small fungus, mold could damage our stuff but our health, too. Mold lives in an area with high humidity, higher than 50%. 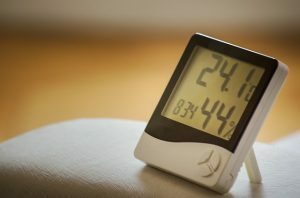 For normal storage functioning, the best is to keep humidity between 30-50%. If you are not sure how to measure that, you can use special gauge for measuring. You may saw that mold literally eats paper – so protect your documents! How to choose the right storage? Choosing a well-protected storage is a very first step in protecting your stuff from the mold. It is obviously important to choose a storage that successfully prevents mold in storage units. Do not worry, there are only a few small things that you should take care of. It is obvious that the first thing in order to prevent mold in storage units to do is a proper ventilation. It dries the air and decreases the humidity. On the other hand, it will enable your stuff to stay dry. You will also protect them from the smell that sometimes arises in storages. There are many ways to find a warehouse in Japan that is well ventilated, thus. It is for sure that storage with optional temperature has low humidity, too. When people use storage, they believe in owner’s honesty that he knows how to protect storage from the mold. On the other hand, with a climate control, you know that he tells the truth. There are many expensive things like exhibition cargo when it is important to provide special temperature and humidity in storage for them. Those storages are most expensive, but the best-protected ones. Now, when you have chosen the best storage you can, you should be prepared to prevent mold in storage units. The job is not finished with clean and drying storage. It is also important to use small helpers just to be sure that there would not be problems with mold in the future. The first and simplest thing that you can use to prevent mold in the storage unit is a vapor barrier. 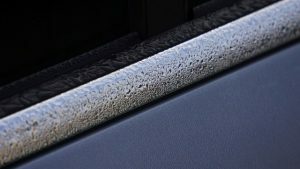 It is usually a cover made of polyethylene plastic that protects things from water. It is a perfect thing for large storages that are not protected from damages properly. Some people use them to wrap every item they have. You can see this gel in small paper bags in new shoes and bags. After you bought them, you should throw them away. However, you can use this material to prevent mold in storage units, too. The simplest way is to put it in small bags made of an old wardrobe. Those bags simply put between items in the storage. Silica gel absorbs water for 40% of its size. You can dry it in a microwave oven and use again. You can use charcoal pieces in the same way as silica gel. There are many people that use it in usual situations, like in wardrobe. You can also buy small charcoal biscuits and put in baskets. They will protect whole storage from the humidity. This is the simplest and cheapest way to prevent mold in storage units. Like when you choose storage, you should carefully choose boxes in which you will keep your items. The best option in order to prevent mold in storage units is to choose acid-free boxes. They are protected from water and mold. Besides that, they are good for cloth and things for babies. All of these things you should do before you put things in storage. Even after you load your storage, you could prevent mold in storage units, too. Literally, every day you can do something to keep the storage safe and protected. It is most important when cargo import company put something unusual in your storage. If you do not know where items were used, you will do not know how to protect it and rest of the storage properly. The simplest resolution is the best. Before all you do, check if there are small damages on the roof or walls of the storage. It will allow leaking of the water and increasing of the humidity. It is hard to prevent mold in storage units where humidity is constantly high. In order to prevent mold in storage units, make sure that your items are dry at first place. It especially is important for wardrobe. If you wear wet wardrobe you can damage your health. Humidity and mold will just make things worse. When a company that has a global forwarding service choose storage, they could put things that people used in water before, for example. It usually includes ski, diving or swimming equipment. Make sure that those things are perfectly dry and clean before you put them in your storage. It will prevent mold in storage units. Do not push large items, like wardrobe near walls, for example. If you want to prevent mold in storage units, make sure that they have air flow between items. If you are not sure that you will have enough space for them, take two storage units. Finally, do not put things on the ground, and wrap them in blankets or plastic.